Our arborist has told us he found trees along the sidewalk on Monument in front of the church that have dead and broken limbs hanging over the sidewalk. We request someone to come and prune these trees. Thank you for submitting this issue, it has been received as service request ID #261288. There is a dead oak tree on city property in front of 3918 Patterson Ave. It has previously been marked for removal but was somehow removed from the list. It has limbs hanging on power lines and over parked cars and the sidewalk. Thank you for submitting this issue, it has been received as service request ID #230852. There are at least a dozen big ones spanning the entire alley between Hamilton and Kent behind Monument (south side of Monument). Please fill them! Traffic lines need to be repainted on Malvern Ave between Cary & Grove. It used to be 2 lanes going north and south and now it appears to be only one, but it needs to be more clear. It has been a few months and is still unmarked. Thank you for submitting this issue, it has been received as service request ID #227734. Thank you for submitting this issue, it has been received as service request ID #222927. Thank you for submitting this issue, it has been received as service request ID #221767. Park Ave has poorly marked crosswalks, from Meadow to the Blvd. These need to be repainted at every stop sign and corner. As someone who has been struck by a vehicle in a very poorly marked crossing, this is important!!! Thank you for submitting this issue, it has been received as service request ID #219994. Due to tree roots, there is a section of the sidewalk that's broken up a good bit and not conducive to a stroller. 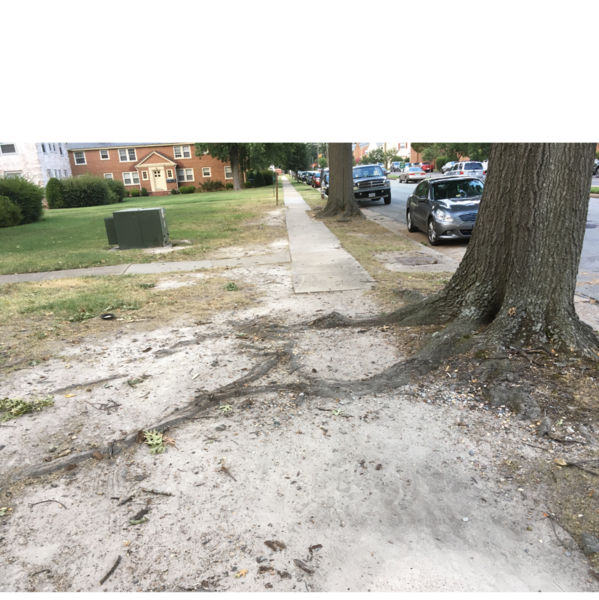 Maybe re-route the sidewalk around the roots so the tree can remain? It's a healthy looking big tree. Thank you for submitting this issue, it has been received as service request ID #219797. Thank you for submitting this issue, it has been received as service request ID #216260. It's been 5 days and it's still in the road. Pothole on the Southbound side of Malvern between Bromley and Park. You can catch the one at 4203 Park Ave when you go to get this one, Please!!! !